Red Paw Emergency Relief founder Jen Leary. Residential emergency situations, whether by fire, flood or natural disaster, can be so overwhelming for human victims that beloved furry friends can get lost in the mix. 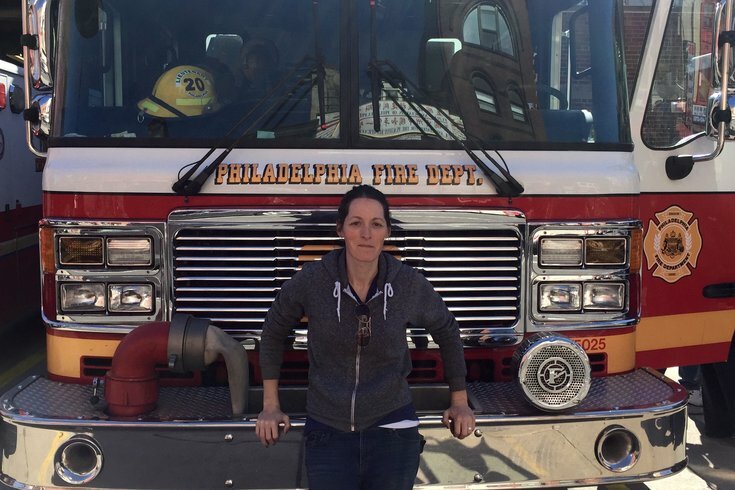 Luckily, in 2011, after a series of emergency incidents highlighted how desperately the city needed a solution, Philadelphia firefighter and Red Cross Emergency Responder Jennifer Leary founded the Red Paw Emergency Relief Team. The nonprofit works with the Philadelphia Office of Emergency Management, Philadelphia Fire Department and the American Red Cross, among others, to coordinate emergency assistance to animals involved in residential disasters in the Greater Philadelphia area. Red Paw provides search and rescue efforts, shelter, emergency vet care and more for animals displaced by emergency situations. They even coordinate foster care for pets while their owners recover from disaster. In 2015, they assisted 905 pets. In addition to bringing Red Paw into the city of Philadelphia's Emergency Response Plan, Leary also created the Philadelphia Fire Departments Fire Safety app and spent five years at Engine 20 in Chinatown before retiring from the Fire Department in 2014. Now, she also serves on the boards of the city of Philadelphia’s Animal Advisory Committee and the Citizens For Fire Prevention as the Chair of Social Media. Below, Leary discusses what pet owners can do to prepare for disaster and all the pets she's helped rescue. What’s the number one thing pet owners forget or don’t know to do in order to protect their pet in an emergency? Simple things like discussing pets when discussing your family's fire escape plan. Closing doors at night or when you are leaving home so that your pets are contained in one area for easy, quick access to grab them and get them out right away. Having cat carriers and dog leashes easily accessible so they are at the ready in case you need to grab them and run out in the middle of the night. And having a buddy system with neighbors, someone who is familiar/comfortable with your pets, who can tell emergency responders about them if you are not home during a fire or disaster, but who could also take temporary possession of them until you can get there. What was the most challenging emergency situation you’ve faced at Red Paw? The more challenging responses are the multi-alarm fires scenes and the bigger things like explosions. There are a lot of different agencies involved, a lot of work that needs to be done to stabilize a situation enough for us to be able to go in and search for people's pets. Often we need to wait hours to days before we are able to get into a building to search and we could literally be on-scene for days providing assistance. Those scenes, however, are also usually the most rewarding. What are your goals for Red Paw in the future? We currently respond in parts of Eastern PA and South Jersey, with Philly being our home base. Red Paw is the only organization in the country providing 24/7 emergency response for families with pets in residential disasters. The goal is to expand our response area and eventually go national. What kind of pets have you owned over the years or grown up with? When I was young we had dogs, fish, hamsters and rabbits. I'm def more of a dog person. I currently have two dogs, three cats and a turtle ... and lots of Red Paw fosters! Any animals you haven’t had as a pet that you’d love to take care of? Red Paw has responded for a variety of different animals; The usual cats, dogs, birds and reptiles. But we've also responded for horses in West Philly, a monitor lizard in South Philly (that now lives at the Academy of Natural Science), a pot-bellied pig from Lehigh Valley and a tarantula from Center City Philly. We were also called in the past for alligators and pythons (which we deferred to the proper authorities)! Red Paw only assists with family owned and legal pets. I'd love to take in a monkey! One of those small ones who can fetch my coffee for me. Not sure if they are legal, however!